North Carolina concludes its 2018 campaign Saturday when the Tar Heels host long-time Triangle rival NC State at 12:20 p.m. at Kenan Stadium. UNC is 2-8 on the year after a 49-26 win over Western Carolina on Saturday. Saturday will mark the fourth straight year in which the UNC-NC State game is played on the final weekend of the regular season. 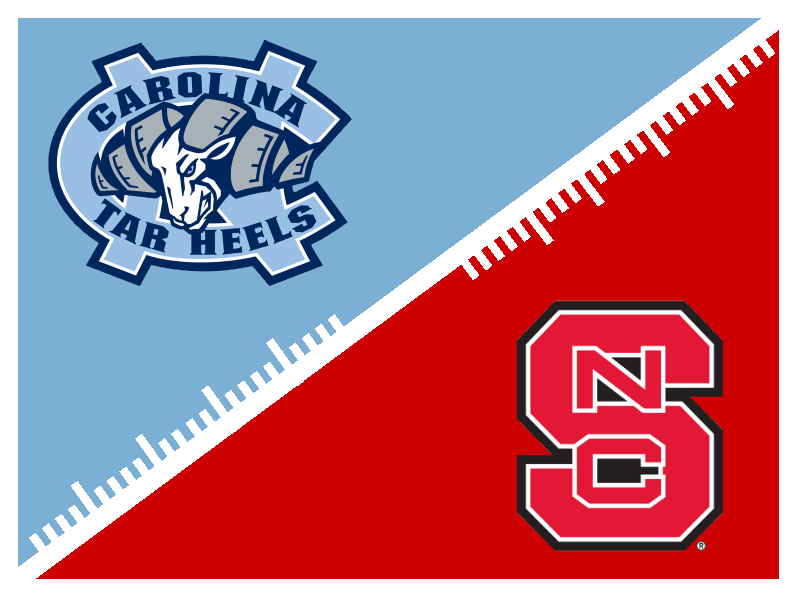 Saturday’s game at Chapel Hill will mark the 108th meeting in the series between the Wolfpack and the Tar Heels. The rivalry, which began in 1894, is one of the oldest among ACC teams and the fourth-most played series in the ACC. Although the Tar Heels hold a 66-35-6 overall lead in the history of the series, the Wolfpack holds the advantage since the turn of the century. Since the year 2000, NC State has won 11 of the 18 games (including 8 of the last 11). Under Dave Doeren, the Wolfpack is 3-2 against the Heels, but 2-0 at Kenan Stadium. This has been a back-and-forth rivalry in recent seasons, with the road team capturing four of the last five meetings. Carolina has won three of six games under Larry Fedora - the 2012 contest in Chapel Hill that was decided by Giovani Bernard's late punt return touchdown and a pair of impressive victories in Raleigh. The team that has held the rushing advantage has won 23 of the last 26 meetings. The lone exceptions came in 2004 when North Carolina won 30-24, but was outgained on the ground, 304-164; in 2009 when North Carolina had 159 rushing yards to NC State's 76 in a 28-27 Wolfpack victory; and in 2013 when NC State held a 212-152 advantage in rushing but the Tar Heels were 27-19 winners. Last season, the Wolfpack outrushed the Tar Heels 292-83.